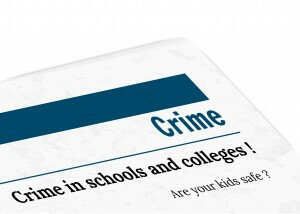 Over the last 15 years the number of tragic incidents taking place at schools has skyrocketed. Some of those events were environmental, such as cases of water contamination, while others were related to poorly maintained school equipment. However, the most alarming and highly-publicized incidences are school shootings and acts of gun-related violence. This once unheard-of crime is now occurring more and more frequently. Gun violence in the schoolroom is at the forefront of every parent’s mind. How have schools adapted to better protect their students? New security solutions are necessary in the Millennial Age. Several of the gunmen responsible for recent school shootings had posted threatening or mentally disturbed messages onto social media in the days before the attack. Many people believe that if these messages had been taken more seriously, the violent events could have been prevented. In response, some schools are now advising their counselors to look out for certain warning signs on their students’ social media pages. Technology and social media can also be beneficial once a crisis has started. During an Ohio school shooting in 2012, parents and authorities were notified within moments by students frantically updating their social sites or sending emails asking for help. This allowed police to be notified faster than ever, and it gave responders more information to work with as they rushed to the scene. Emergency notification systems are crucial for immediate crisis management. Many schools and universities are adopting new and advanced notification systems to enhance their security and deescalate crisis situations. Digital signage in the form of notification lights and electronic floor plans help inform students and teachers of both an event occurring as well as what course of action they should take. Touchscreen panic buttons allow teachers to immediately and discreetly contact security so that they are aware of an event taking place. In 2015, Georgia’s Queen of Angels Catholic School adopted a cutting edge style of alert system in an effort to ensure maximum school security. This system offers teachers a variety of ways of reporting incidences as well as providing responders with live updates on the situation. The system is connected with a digital floorplan that provides updates on what’s happening in each room and corridor as the crisis unfolds. Cloud video, access control, and remote access systems. The Cloud can provide an invaluable resource for keeping schools safe and secure. Cloud video services allow security personnel to monitor the events in a room remotely. If an incident occurs, they can immediately contact the appropriate response crew like the police or fire department without any delays. Access control and remote systems offer a two-pronged solution to unauthorized persons attempting to enter the school. Access control systems include measures such as reducing the number of entrances into the school and security checkpoints in certain areas. Remote systems allow doors to be closed and locked off from a safe distance. This allows school personnel to safely prevent a security risk from getting deeper into the school. When was the last time your school had a risk assessment?